I am an Associate Professor of Computer Science at Reykjavík University, where I am doing research in the area of virtual humans and interactive virtual environments, with emphasis on social interaction and experiences that have social impact. As the leader of the Socially Expressive Computing Group, I have led 5 large national project grants, supervised over 35 theses and taught courses on the theory and practice of virtual environments and as well as courses on game development and natural language technology. At Reykjavik University, I have also served as the chair of the Research Council and the director of the Center of Analysis and Design of Intelligent Agents. Before arriving at Reykjavík University in 2006, I spent three years as a Research Scientist at University of Southern California’s Information Sciences Institute (ISI) where I was a member of the Center for Advanced Research on Technology for Education (CARTE). In 2005 I co-founded Alelo Inc., a Los Angeles based start-up in social training technologies. 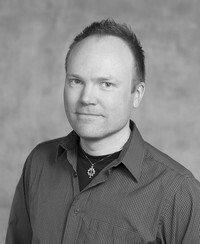 In 2009 I co-founded MindGames ehf in Reykjavik, which developed and published the first mind-controlled iPhone game. I completed my Ph.D. in Media Arts and Sciences from the MIT Media Laboratory in 2003. My dissertation dealt with how to improve online collaboration in shared virtual environments by using a model of face-to-face conversation to animate avatars, representing each of the participants. I received my M.S. in Media Arts and Sciences also from the MIT Media Laboratory and have a B.S. in Computer Science from the University of Iceland.